An important and often overlooked part of a website is the quality of its web hosting, as this ensures that the site runs smoothly and loads quickly. At Team Valley Web we offer tailor made web and email hosting packages to those customers we design or develop a website for. Unlike some web design companies we don’t rely on a reseller account with a large web host company to provide hosting, we have invested in our own dedicated servers based in the UK. By doing so we are able to support and maintain each of our servers, actively keeping them up-to-date with the latest version upgrades and security patches. This allows us to ensure that all our customers have the best experience possible when hosting with us as along with the security measures we have in place we also don’t oversell our server space. We also have a customised monitoring system in place that alerts us within 30 seconds if any server or element of a server becomes unstable, allowing a member of the team to fix an issue within minutes of it occurring. This monitoring also allows us to spot patterns in the servers behaviour so we can be pro-active in make upgrades to the hardware of a server as and when required. 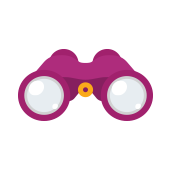 Along side the in-house monitoring we subscribe to an email monitoring service to ensure any emails from our servers are not treated as “spam” and notifies us should a problem arise where there is the potential of a site or server becoming blacklisted. 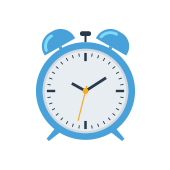 We employ a system whereby every aspect of our hosting is monitored in realtime, and our staff are notified within 30 seconds of any system failures. Monitoring our servers appearing blacklisted due to spam mail or illegal use is a priority for us. All our website servers are checked and vetted daily and measures put into place pro-actively to prevent blacklisting. 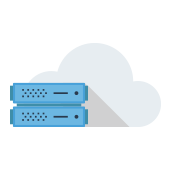 We remotely backup all of our servers to the cloud on a rolling 5-day basis. This means that in the highly unlikely event of a total failure, we can restore all our client's websites within a matter of moments. 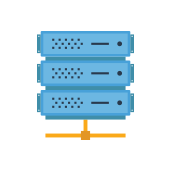 We currently run 10 dedicated servers, each solely containing our clients websites and emails. These servers we constant keep up to date with the latest security software and patches. Only Team Valley staff have access to our servers. Our website servers are all housed in dedicated server farms in the UK. 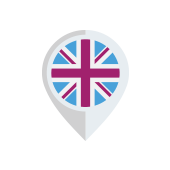 This not only gives peace of mind but conforms to current E-Commerce legislation regards the hosting of UK-based businesses. 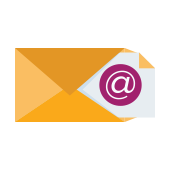 We do not give our clients any restriction on the number of email accounts and email forwards they wish to set up. Using their desktop or smartphone, clients can access as many accounts as they wish.